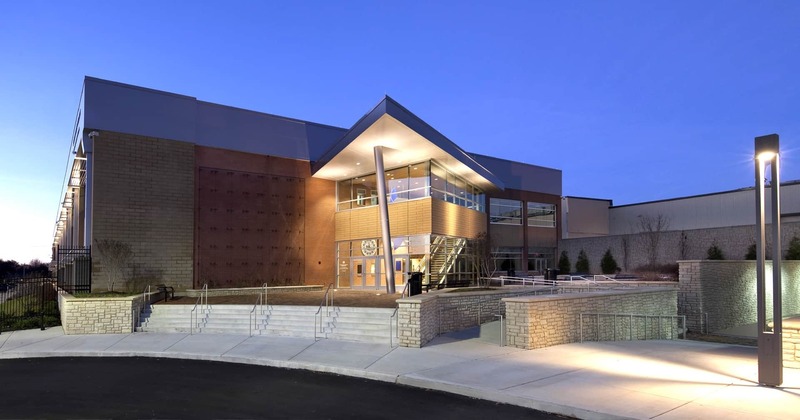 The Metropolitan Nashville Police Department (MNPD) Madison Police Precinct & Crime Lab was a complete renovation of an existing 41,000 SF “high-bay” building and former truck manufacturing facility. The existing building was demolished to its original steel structure and a second floor was constructed within its footprint to provide the 82,000 SF required for the new facility. Departments located within the facility include MNPD, Firearms, Latent Print, Toxicology, DNA/Serology, and Technical Investigation Section (TIS). Accommodating sensitive laboratory equipment was critical to design. The complex requirements of the lab demanded careful thought and coordination with the owner and various user groups. Multiple early-release bid packages required the design team to make important decisions concerning equipment early on in order to define demolition scope, block-outs, vents, and chases. Additionally, the scope of work had to be coordinated with separately contracted projects already under construction on the site. These projects included the operation of a temporary MNPD precinct and active use of a nearby existing building by the Metro Transit Authority. Reinforcement of the existing building’s steel structure in order to meet the essential facility designation requirements. Laser Scan of as-built conditions helped create the Building Information Model (BIM) and detect conflicts between building systems prior to the systems being installed. Housing of a complex security system, a firing range and high-end laboratories. The Madison Police Precinct is the first precinct in Tennessee with its own crime lab, allowing Metro Nashville and Davidson County to process and analyze evidence in a matter of days rather than weeks or months.